Detecting Diseases That You Can Find In Your Koi Fish. Koi Fishes are considered priced possessions as it is known to bring in Good Luck. Enthusiasts consider it as pets just as how others would get so endeared with their dogs and cats. Just like any other living creature, Koi’s are also prone to diseases especially when a pond is not well maintained. The diseases vary from different disorders such as Protozoan, Viral, Parasitic, Bacterial, Fungal and many others. Protozoan disorder is usually characterized by how the scales of the Koi feel. If it feels slimy and has a heavy coat, then it is caused by an organism “Chilodella” or if the eyes of the fish are sunken in or appear swollen, then it is caused by “Eimeria”. Some symptoms can also be observed by how the color of the skin appears. If it is on the grayish or bluish side instead of the bright orange hue, then it is caused by “Ichtyobodo”. Other known Protozoans causing such disorder as Ich, Heteropolaria, Hexamita and Trichodina. When the fish is affected by any of the aforementioned, then it will be characterized by difference in scale color, appearance of the eyes, coat and other observable external parts. These can be treated however by specialized Koi specific medications such as Metronidazole, Quinine Sulfate or Acriflavine if Koi is infected by “Chilodella” and Tetracycline or Oxytetracycline if infected by Ichtyobodo. Viral disorder is usually observed by a yellowish mucous discharge on the fish head or bloody fin. This is caused by “Septicemia”. Other causes of viral disorders are Carp Pox, VHS or Viral Hemorrhagic Septicemia, Rhabdovirus Carpio and KHV or Koi Herpes Virus. 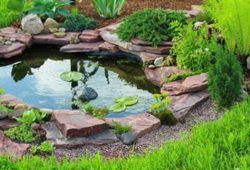 Prevention of such disorder is plain and simple- keep the pond or the water tank clean and well maintained. Temperature is also a very important aspect and water should be kept at 86 degrees Fahrenheit to kill any viruses. These steps prevent the breeding of bacteria such as Aeromonas Salmonicida, Aeromonas Hydrophilia and Pseudomonas Fluorenscens. If not treated with the right antibiotics, then the result can be damaging and even fatal for the fish. Symptoms for Parasitic disorder can be observed by small bumps or pimple like appearance on the skin and sometimes with a threadlike string of worm sticking out, or when the fish gasps for air on the surface of the water. Some may have thin to fatter brown objects stuck all over the fish which actually are the parasites. 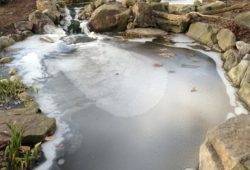 The culprits or the parasites are Gill Flukes, Anchor Worm, Fish lice and mites (Yes, even fishes are affected by these parasites, not just mammals), Placobdella Montifera or leeches, skin flukes, Trichodina, Mitospora, Capillaria, and tapeworms. These parasites can be killed by using “De Los” which is an effective medication/ treatment against worms, lice, flukes and all kinds of parasites. This is used once a week for four weeks with one half teaspoons per 10 gallons of water. Bacterial and fungal disorders are also similar to the ones mentioned. 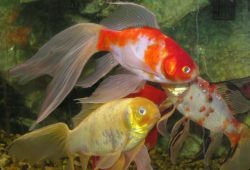 Most often, if there are abnormalities in fish movement and breathing or if there are noticeable skin discolorations or slime discharge or deposits, then it is best to consult a Koi Fish expert for treatment. Koi fishes deserve all the care they can get. If you are a Koi enthusiast, it is best to research online for various forms of treatments and cure for infections. Most of all, research and talk to experts on how to PREVENT the occurrence of any infections.